The Disaster Artist: James Franco's performance in The Disaster Artist has received incredible reviews since its debut at SXSW. The film is based on a non-fictional book, The Room. Despite the skepticism of many, it has now been considered a very early contender for the Oscars of this year. Song To Song: Song To Song stars Michael Fassbender, Natalie Portman, and Ryan Gosling, and is a beautiful, musically-themed puzzle set in Austin, something that surely made the audience feel very much part of the film. Dear White People: Dear White People felt like it resonated with this year's audience because of all the cultural and political changes the world faced in 2016. This Netflix series is a must-see, as it shows Ivy League University students faced with social and political injustice, activism, and cultural bias. Alex Napping: Alex Napping stole the stage on the first day, gently rocking the audience at SXSW. The New York-based band spoke to its audience with deeply personal and slightly groovy music that told a true story with a beat. They shared some of their material from their upcoming album, Mise En Place. Forth Wanderers: Forth Wanderers are really the ones to watch out for this year. This 5-man band, led by 20-year old Ava Trilling, played some of the most memorable songs at the event. Jay Som: Jay Som's Melina Duterte took over the stage despite her small stature. Her unmistakable presence was one of the best acts at SXSW. The band combined incredible musical talent, with a great sense of humor, and the perfect amount of humble pie. Film wasn't the only industry to bring in the experts. SXSW had some amazing music figures take the stage, not to play their music, but to share their views and personal experiences. One keynote speaker that stood out from the crowd was Neil Rodgers, who spoke about discovery and how he and others can, and did, make it happen. 15,000-Year-Old Marketing Strategy: Why It Works- The session explored the notion of storytelling and how compelling narrative encourages brand loyalty. 100 Million People You Don't Know, But Should- The discussion aimed to open marketers' eyes to get them out of their bubble to further understand and sell to the more general population of America. A/B Testing Secrets Revealed: Uber, Etsy & Intuit- The panel was about how A/B testing can unlock information needed to enhance conversions, engagement, and user retention. 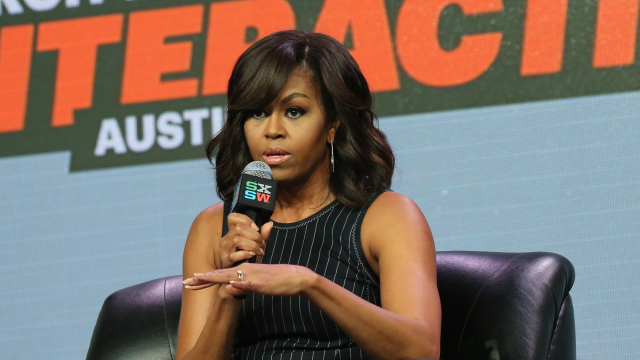 Although SXSW maintained its focus on tech and innovation, a new topic seemed to dissipate throughout the event: how some tech has not made the world a better place. This was especially apparent as Julia Ioffe and Rabbi Mordechai Lightstone honestly discussed the rise of antisemitism online. Kate Crawford with a panel called "Dark Days: AI and the Rise of Fascism"
With the above in mind, it is worth noting that one of the most prominent and original launches at SXSW this year was an Anti-Defamation League Command Center for fighting cyber-hate. As with every SXSW event, the music and film industries came in strong, launching a variety of amazing movies, TV shows, and albums that everyone will be waiting for with anticipation in 2017. But, this year took a different twist to other ones', with more being openly discussed on the negative impact of technology and the internet, as well as its advantages. With this unexpected twist, I'm really looking forward to what 2018 has in store and whether or not the audience from 2017 will take into account some of these new views and insights.